MULLANEY JOHN THOMAS Private 21546 Enlisted September 1914 at Preston into the East Lancashire Regiment 7th Battalion. He arrived in France in 1915 and was killed in action on the 5th July 1916 age 25. The son of John and Mary Mullaney nee Conway of 32 Far Back Pleasant Street, Haslingden. He was killed in the battle of Albert which raged from 1st July through 13th July 1916 which included the capture of Montauban, Mametz, Fricourt, Contalmaison and La Boisselle. 56th Brigade – 19th Western Division. 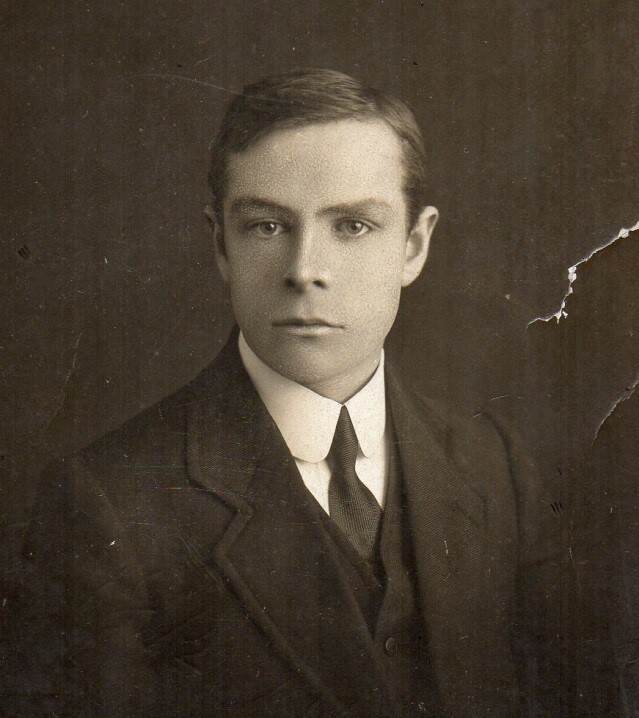 John Thomas was born in Lowell, Massachusetts, USA on 10th June 1891 his parents having emigrated from Haslingden with their youngest son Austin, the family returning to Haslingden in 1900. He had a sister Margaret Ann born Lowell 1885. He worked at Grane Mill as a weaver of Shoddy Hard Waste. His body has never been found. His name is inscribed on the memorial to the missing of the Somme at Thiepval, near Albert, France which records 73,412 men who died in 1916-1917 who have no known grave. John Thomas Mullaney is recorded on Pier and Face 6C. 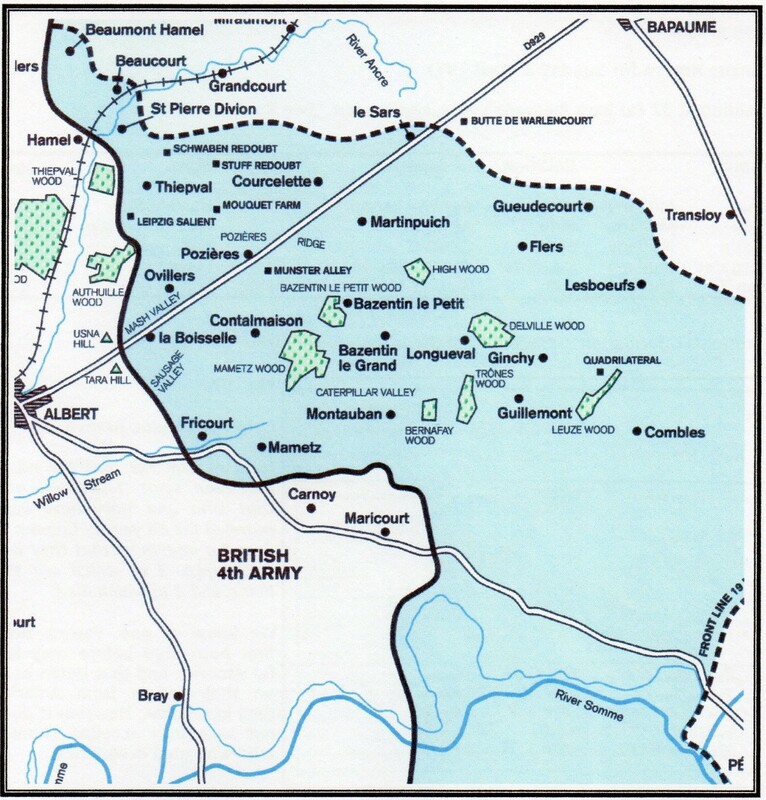 On the 5th July the East Lancs were committed to battle, bombing and clearing trenches in the field to the right of La Boisselle. From the History of the East Lancashire Regiment an account of the day. At 2.30 p.m. on the 5th after a short bombardment by our guns we attacked all along the battalion front; A and D Companies on the left assaulted across the top, whilst B and C Companies made bombing attacks up the communication trenches. At first considerable progress was made; the left flank company got well into the village, but were then met by heavy machinegun fire. D Company hung onto a series of trenches and ruins just to the south side of the village and beat off a number of hostile bombing attacks. The fighting was very fierce for some hours. Meanwhile B and C Companies had bombed their way up the communication trenches to the enemy support line, but here they were faced with straight pieces of trench affording no cover whatsoever, down which hostile machineguns played. The distance was too far to bomb the enemy and the parties were forced to stop. Behind them the trenches were packed with their own men passing up bombs and the numbers were swelled by men of other units seeking protection from the machinegun fire which swept the surface. To add to the confusion a whole battalion of Sherwood Foresters who had lost direction crowded into the trenches. At the height of the confusion the enemy started a counter attack. The congestion in the trench caused a stoppage in the supply of bombs and the defenceless men in the front crowded back on the still advancing ones from behind, producing a very ugly situation.